"Dungeons and Dragons is the most iconic and pervasive gaming franchise in the world. 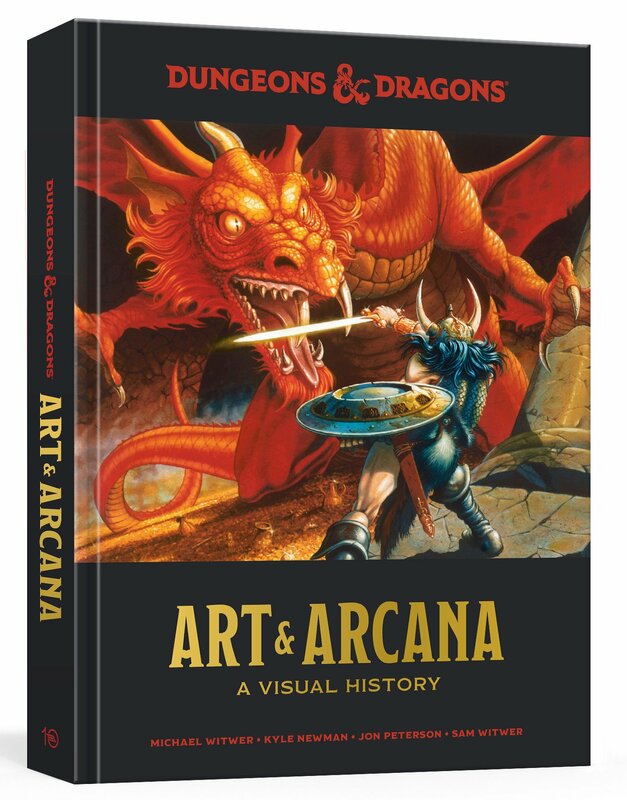 This officially licensed illustrated history provides an unprecedented look at the visual evolution of the game, showing its continued influence on the worlds of pop culture and fantasy. 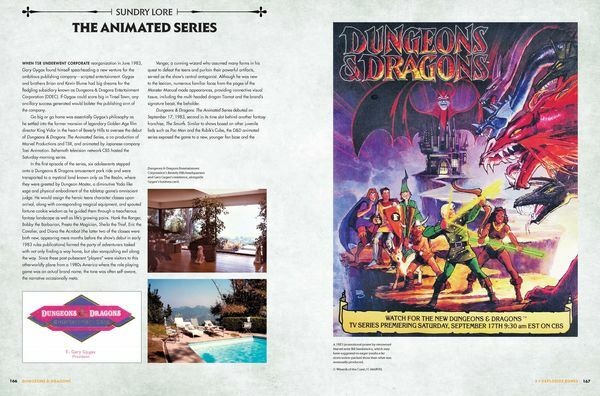 It features more than 700 pieces of artwork-from each edition of the game's core books, supplements, and modules; decades of Dragon and Dungeon magazines; classic advertisements and merchandise; and never-before-seen sketches, large-format canvases, rare photographs, one-of-a-kind drafts, and more from the now-famous designers and artists associated with the game. 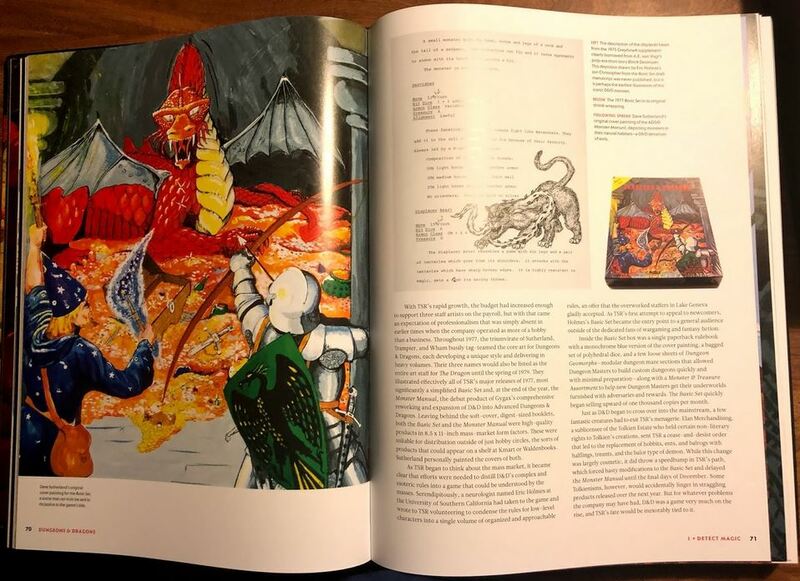 This is the most comprehensive collection of D&D imagery ever assembled, making this the ultimate collectible for the game's millions of fans around the world." Slightly on the hyperbolic side perhaps, but I have to say that this is a truly epic work. I wholeheartedly applaud the immense amount of research and curative care that has gone into putting this tome together. For anyone with an interest in the back story of what I think we can agree is the RPG daddy of them all, this will more than satisfy. One man's mountain of minutiae is a treasure trove of tantalising trivia to another. I was certainly in the latter camp with this work. It was darker than a goblin's privy before I finally managed to stop reading yet another fascinating chapter and close the lid, I mean covers. It also covers the myriad spin-off merchandise and media tie-ins, such as the much beloved cartoon series that cashed in on the game's popularity. Though I notice the brief cameo appearance D&D made to much faux-derision in the Grange Hill spin-off Tucker's Luck somehow escaped the editor's attention... 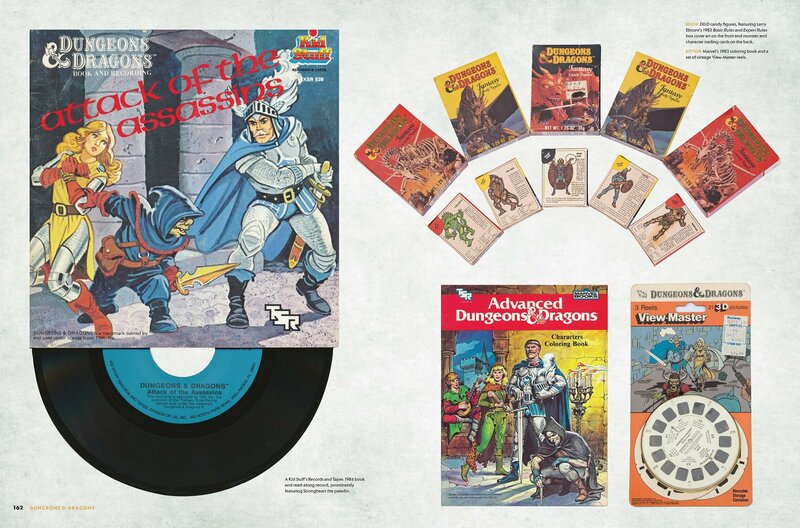 The perhaps inevitable politics, in-fighting and consequent legal shenanigans that occurred following D&D's runaway exponential success is also walked through for the record. 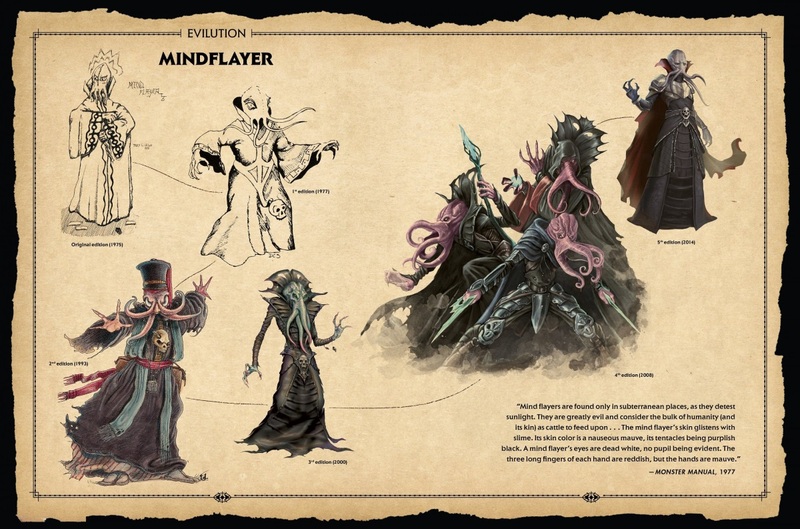 If you haven't got the time to read this, for a brief potted history of the early days of D&D and its DM-in-chief, there is RISE OF THE DUNGEON MASTER: GARY GYGAX & THE CREATION OF D&D which is indeed comics, but if learning about the lore of the game itself is what you're after, rather than the characters involved in its inception, this behemoth is the one you need. If you just want RPG-related fictional comics by the way, then look no further than Kieron Gillen's magnificent, multifaceted DIE, which after a mere two single issues is already shaping up to be a classic. If you want comics about people playing RPGs then perhaps THE ADVENTURE ZONE: HERE BE GERBLINS by the Brothers Elroy of apparently some degree of podcast fame may take your fancy.